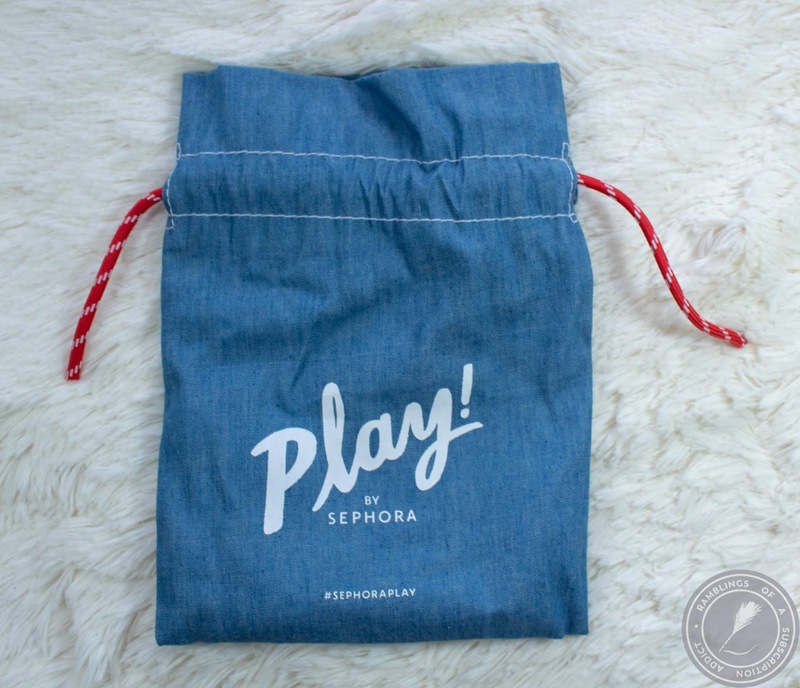 What is Play by Sephora? : Play! 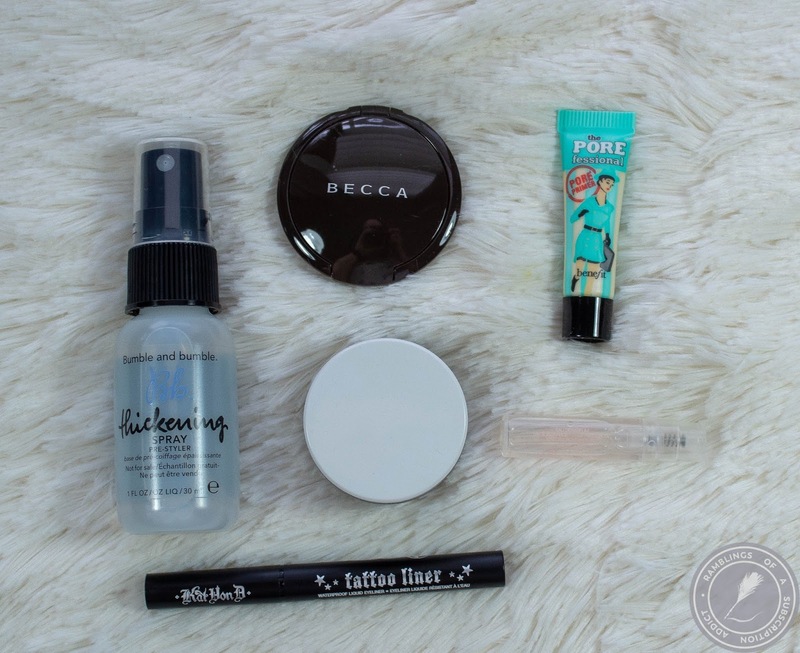 by Sephora is Sephora's own monthly subscription box! 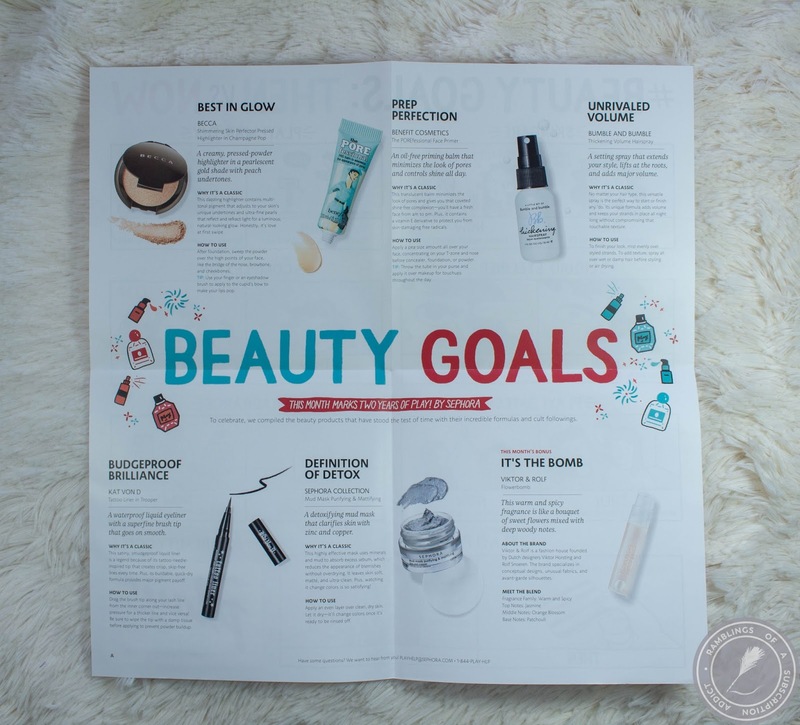 Each month will include five deluxe samples plus a fragrance sample (or sometimes a hair sample), all coming from the same brands that Sephora carries! Each box also includes a Play Book (tips and tricks) and a Play Pass (a one-on-one tutorial at Sephora and a bonus 50 points with purchase). How Much is Play by Sephora? : Play by Sephora is $10/month plus your state's sales tax (if a Sephora is in your store). It ships for free but only to the contiguous 48 states. Click here to see past Play! by Sephora reviews. This bag is..interesting. Not my style at all. Bumble and bumble Thickening Spray ($3.75) - I don't know what to do with a thickening spray. My hairs are pretty thick as it is, so pass. Becca Shimmering Skin Perfector Pressed Highlighter (Champagne Pop) ($22.00) - This is described as a soft white gold w/ pinky peach undertones. I legit thought I'd never get Champagne Pop back in the day, but here it is! 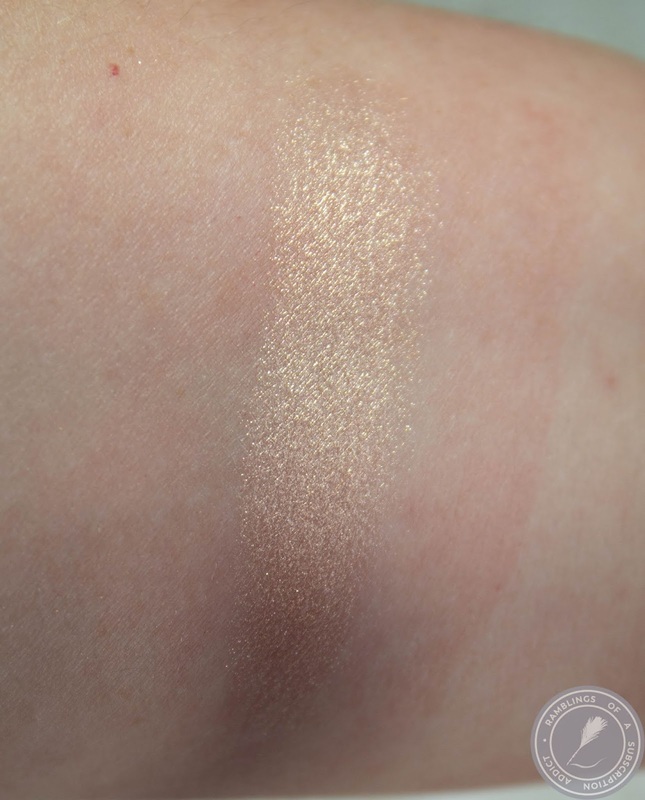 It's a gorgeous highlight but it's a little too dark for me to wear in the winter so I keep it with my summer makeup. 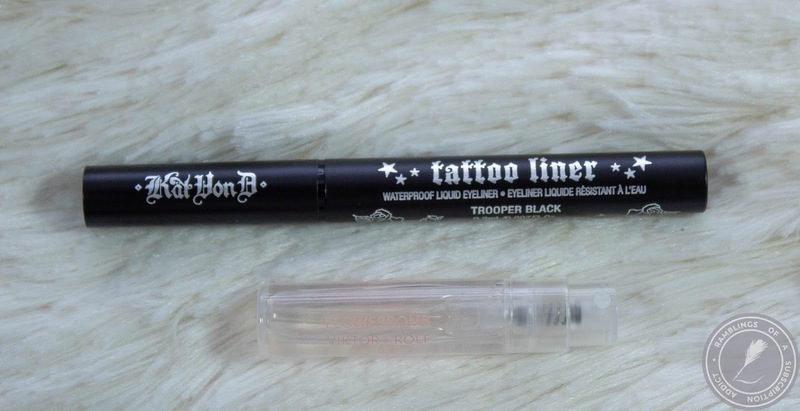 Kat Von D Tattoo Liner ($7.27) - Vaccinate your kids, y'all. Viktor & Rolf Flowerbomb (Sample) - I love Flowerbomb, it's my second favorite perfume out there. I wear it when I'm feeling a little extra fancy. Benefit POREfessional ($4.27) - This used to be my go-to primer. I've moved on but I do keep this around for when I really need to fill my pores. It does what it says and nothing else. 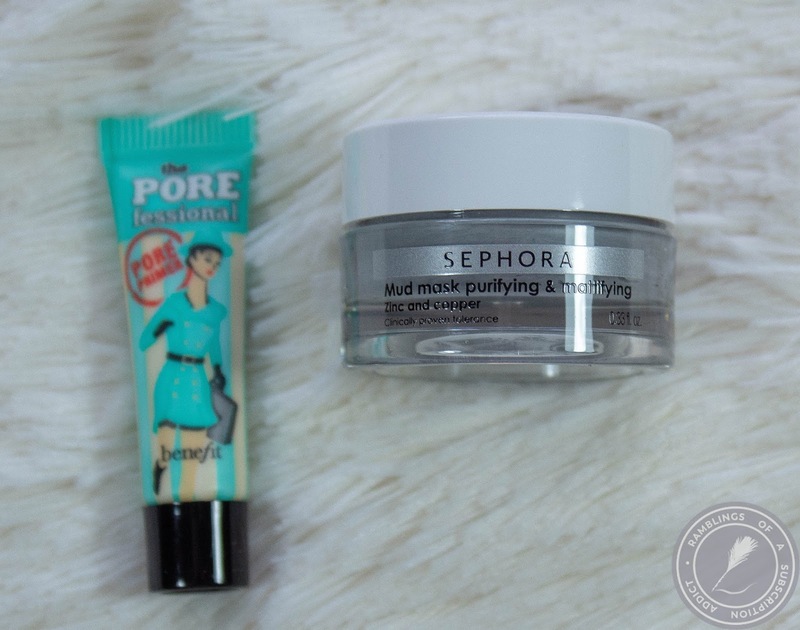 Sephora Collection Mud Mask Purifying and Mattifying ($3.30) - Instant pass. My skin wasn't oily at all when this came in so it was passed along. This bag was valued at $40.59, quadruple the cost of the bag! The highlight was my hit item and having a smaller version of Flowerbomb is always going to be good for me.